With this baby arriving in less than two months, I have been spending a lot of time checking out online baby boutiques. I want a few things that show the stylish mom I am, but that still get the job done. And I don't mind my kids looking adorable as well. Did I just say kids? That will take some getting used to. My new favorite shop is The Baby's Bundle. I came across it at first when searching for the perfect nursing cover (my last one was terrible!). I spent the next hour looking around at all the other lovelies. - Like baby legs. How is it that these are just coming on to the market? Genius! I picked up a cool tee for Lydia's "big sister" gift here too. If you have a baby shower anytime soon, or are expecting, you have to check out this site. The Baby's Bundle is offering one reader a $25 gift certificate! Want to win? To enter:· Take a look at The Baby's Bundle and list one or two of your favorite items. For an extra entry, let me know that you are a subscriber/follower of Natalie's Sentiments in a separate comment. I will announce the randomly selected winner on Monday, April 13th. Good Luck! P.S. Don't forget to answer the question I have on my right hand sidebar. Poll closes in about a week. that is a great site.. thanks for the link. I need to do a little shopping there once I find out if we are going to have a boy or another girl! Some of my favorite things were the cozy looking slippers and the plain jane hair clips. I really like the Brown Micro-Suede Horse Head Dot Snuggle blanket. Thanks! I love the Giraffe Animal Print Baby Blanket. I love the Baby Legs...such a cute idea! I subscribe? I'm pretty sure I do! I LOVE the vintage baby and toddler pillows. My little boy would LOVE one. And I could always use a cute new nursing cover for the new baby! Ooooo....love looking at baby goodies! I have been eyeing those nursing covers as well and have friends that love theirs. Love the Yoko print. I really liked the cold seat...and the red necklace onsie. ooo I'm loving the little pillows that they make! And I also love the vintage football burp clothe set! SO sweet! I really like the black and white nursing blanket. Cool stuff! I, too, am on the lookout for a good nursing cover, so that's my favorite item. I also like the diaper carry bags, and the baby legs. Thanks! P.S. I subscribe to the feed via Google Reader. With my own bundle of joy coming, I would love to try their nursing covers. Soo cute i'm gonna buy some baby legs for my friend's shower!! P.S. Ohhh I feel your pain Cadbury Mini Eggs are so delicious and always sold out! You gotta check out Target the day after Easter they always go on clearance for super cheap gotta stock up! I love baby legs. Their pillows are cute too!! I love the Bebe au Lait Yoko nursing cover. And since I'm due July 5th, it would be perfect! I like the baby legs and the slippers! I love the blankets and vintage pillows! too cute! "Teal and Brown Brocade Burp Cloth!" The two colors are wonderful together and it looks so soft. Please add my name to your wonderful giveaway prize drawing. I am a subscriber/follower of your blog! Again, many thanks! I LOVE the Giraffe animal print blanket. It is SO cute. What a cool site! 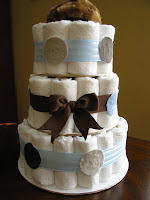 I love the "Blue Brown Minki Dot Diaper Cake" & the "Bebe au Lait Mint Chocolate Nursing Cover" . . . SO CUTE!! Love the Pink Hawaiian Short Outfit . ahh I really love the retro flower baby blanket and the chenille baby gift set.... And I am a follower:) love your blog:) U have an adorable family! My favorite is the Retro Flower Baby Blanket or the Brocade Blue/Yellow baby blanket. Thanks! Okay, so I want the adult minki blanket! Who says that the kids get to have all the fun? So many great things! I love the baby legs! Especially the Strawberry Shortcake Baby Legs, and the Jack Stripe. One of my favorite items is the Bebe au Lait Mint Chocolate Nursing Cover, I also love their selection of baby legs. I like the Zebra Minki Pillow & Burp Cloth Gift Set !! The cold seat is ingenious! They need to make them for adult seats too! 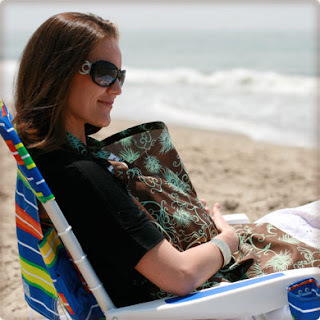 I love the Mint Chocolate Bebe nursing cover. I need one so badly. The Cold Seat- looks great! Something everyone needs. I love their minky blankets. Such cute fabric combinations with the soft minky my daughter loves, now I need one for the boy on the way! Thanks!! fun site! i LOVE the baby legs...even for boys! i love the nursing covers. they make great gifts. I like the Chenille gift set in Yellow. Good for a boy or a girl! I love the Sweet B Tutu Accessory Holder & the cold seat! My "babies" are all boys and are to old for your stuff, but I am about to have my second niece in a few days! I can't wait to tell them about your cold seat.